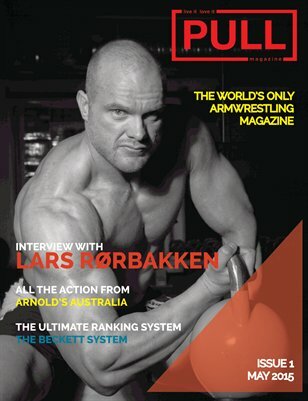 Our first edition includes: - Interview with Lars Rorbakken, strongman and King of the Nordic Press. - Review of the Beckett Rating System for ranking armwrestlers. - Report on all the action at the Arnold Classic Australia which took place in March. - Diet and training tips, world news, and much more!